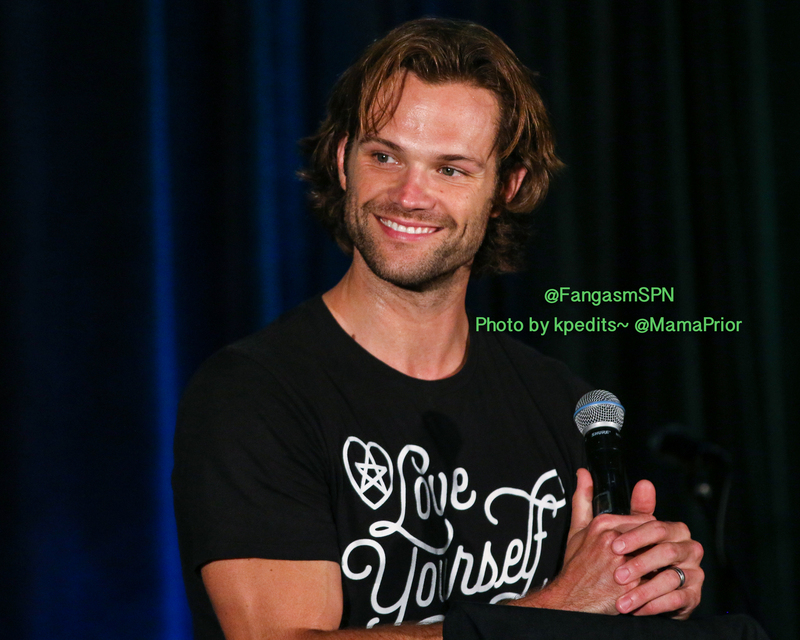 Supernatural Vancouver Part Two – More SNS, Jared, Jensen, Ruth and Rachel! So, where was I? Oh right, the Saturday Night Special…The thing is, it’s not just the way they sing that makes them all such rockstars. It’s the emotion they put into everything they sing – I don’t know if it’s because they’re also actors, or just people who feel things deeply and allow themselves to be emotionally vulnerable, but so many of them reduce me to tears during the SNS. It’s an entirely emotional experience, not just a musical one. And speaking of…. I knew Jensen Ackles was going to sing, but it seems I’m never entirely prepared for it anyway. He’s performed ‘Whipping Post’ several times, but I swear every time he pours his heart into it even more and it gets to me even more. I was so enthralled with his performance, I completely missed the fact that he was wearing a tee shirt (single layer single layer single layer) that said ‘Skyrockets In Flight’ – once the SNS was over we were all humming ‘Afternoon Delight’. Jensen and Jared are huge Anchorman fans, so it made sense, but….yeah. In my defense, I may have been a little distracted by all the biceps action too. Hey, it was just right there, what can I say? I’ve been too busy to post con reports this year for the most part, but I’m trying to change that – at least for one con! Vancon, as it was called for almost a decade and will still always be called in my head, is a special con. It takes place in mecca for Supernatural fans, where the show is filmed, and that means that lots of other Vancouver-based Supernatural alums and crew members often come by to say hi to the fans. It’s also the place where some of the best days of my life have taken place, and where many of my SPNFamily friends come to congregate, so that makes it a special con for me. This year was no exception. I didn’t have any extra time to take in location filming or revisit some of my favorite Vancouver restaurants and sights, and I’m still grieving that the con is no longer at the beautiful Sheraton Wall Centre, but the Westin Bayshore is also quite nice. It’s also way above my budget at the non-con rate, and thanks to my aforementioned busy, I neglected to book it early enough to get that. So my friend Alicia and I spent the first two nights up the hill at the Coast, a European flavored hotel with an international bunch of patrons and a portable AC machine that served as possibly the best white noise I’ve ever experienced. I totally wanted to bring the giant thing with me! I then cashed in every single Starwood point I’ve ever accumulated to move over to the Westin, which rewarded us with an amazing view of this amazing city. I love you, Vancouver! I mean, look at it! That’s the view from my window once I finally got to the Westin Bayshore. I had a lovely seafood dinner out on the water on Friday night and a few good meals at the hotel restaurant too – I wasn’t in the vendor room, so I had a lot more time to hang out and have some good conversation. I was also very honored to sign copies of Family Don’t End With Blood for lots of people who had read it and been inspired by it, which totally made my weekend. If you came up to me and asked for my ‘autograph’, I’m thrilled that you enjoyed the book and that I got to meet you. And I hope you all told the actors what a fantastic job they did writing their chapters! I had very little internet reception on Friday and especially Saturday, so I tried to make up for the lack of tweets by taking pictures. 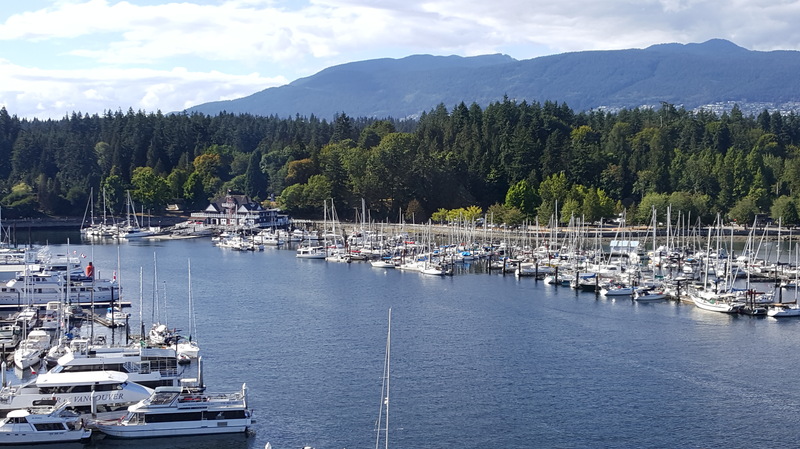 Thus this is Part One of my Vancon post, since wordpress was a wee bit upset with how many photos I was trying to cram into a single post. Part Two (SNS continued and Sunday) up shortly! 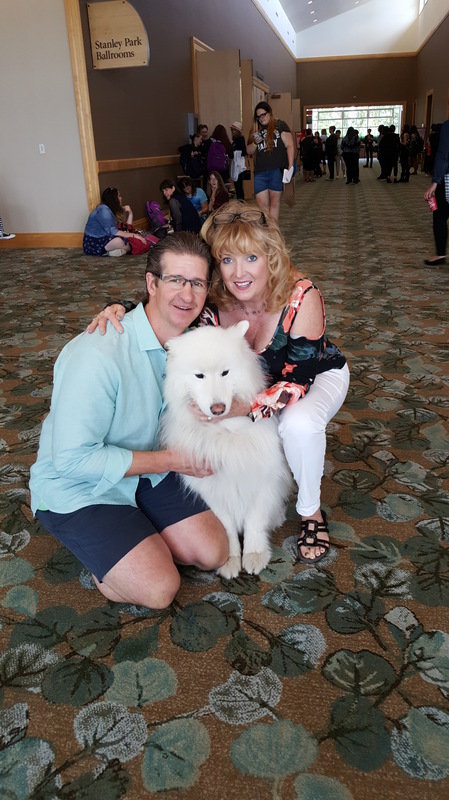 There were lots of SPN alums on hand for karaoke and during the con, most of which I forgot to take photos of, but I had to have a picture of the lovely Kuma, star of television commercials, and his owners Kevin and Jill Parks. Kevin has been with Supernatural as a First Assistant Director ever since I can remember, and is instrumental in making the show the high quality tv that it is. In fact, he’s joking referred to as “Parkasapedia” for his encyclopedic knowledge of SPN canon! Kuma has appeared on the show too, as well as in that Flonase commercial you see all the time. Adam Williams, who supervises all that amazing VFX wizardry on Supernatural, was also on hand – along with the always awesome Lucy. Together, Adam and Lucy wrote a chapter in Family Don’t End With Blood about how the show changed their lives completely – by bringing them together! Talk about life changing. Friday kicked off with Alaina Huffman (filling in for the busy-filming-Supernatural Kim Rhodes) and Gil McKinney. To be honest, I missed Richard Speight Jr and his country-twang-ballhat-wearin-jammin-on-guitar portion of the concert. And I missed Gil McKinney singing some song that dripped with so much silky sexiness that it makes one feel weak in the knees. Yes, I missed those guys. 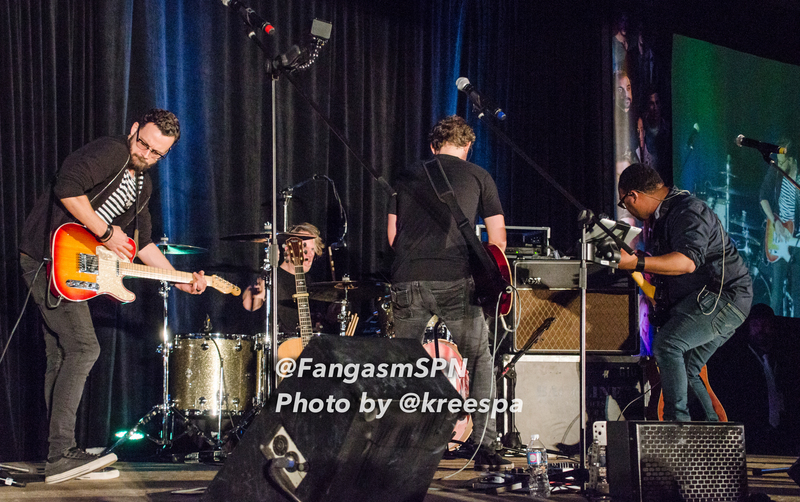 But the Saturday Night Special, at any convention, is always about Stephen and Mike and Billy and Rob. And, as always, they delivered one helluva show in Vancouver this year. 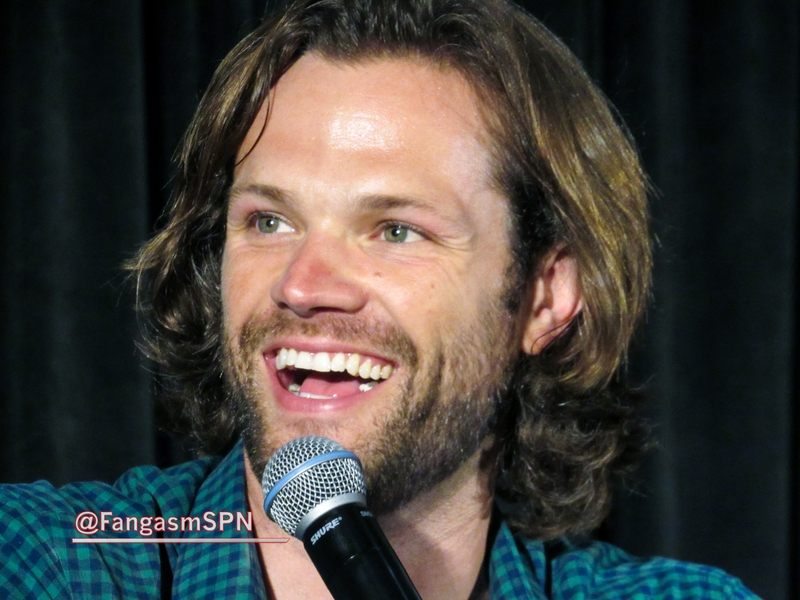 Vancon Sunday – J2 Day! 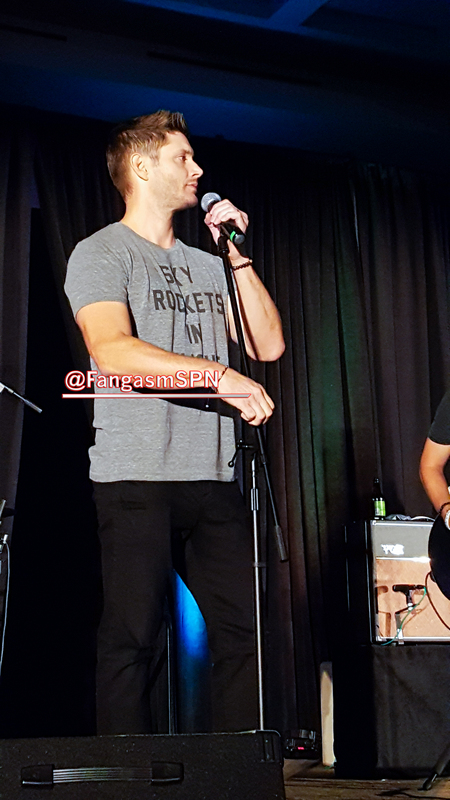 Well, actually at Vancon, J2 Day (or at least J1 Day) started the evening before, when Jensen Ackles joined in the Saturday Night Special. 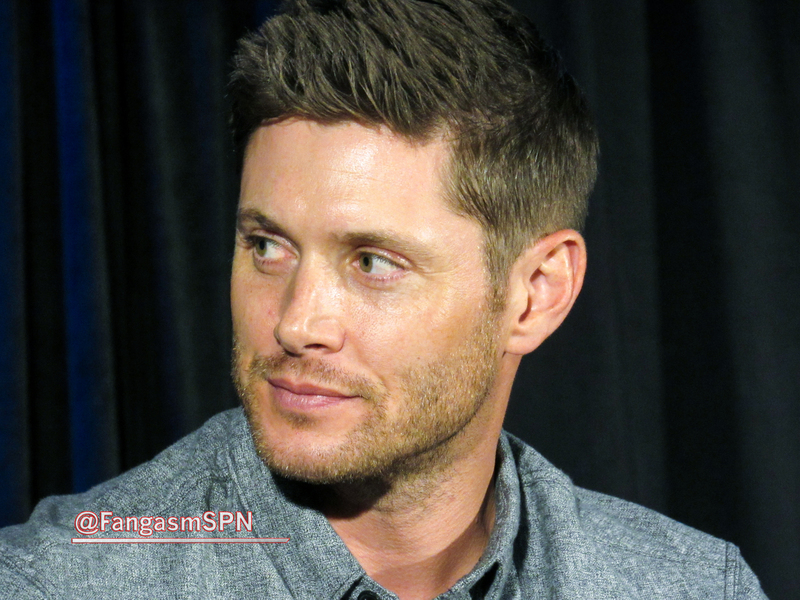 I’ve written paeans to Jensen being a rockstar before (maybe even a few times), but I just can’t help it – he is just unbelievably good! 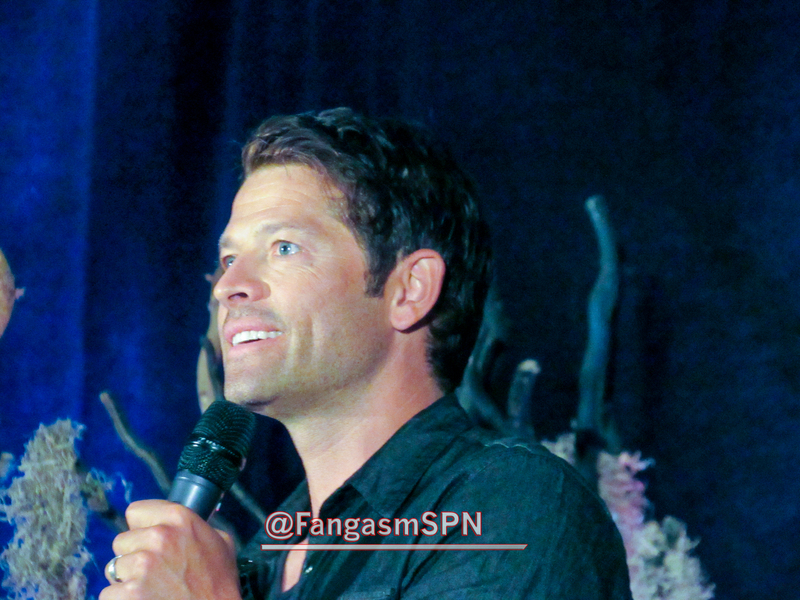 He was in a wonderful mood at Vancon, rested and not having had to travel. And his family was with him, so doing the con didn’t mean being away from his daughter, which must have felt pretty utopian. 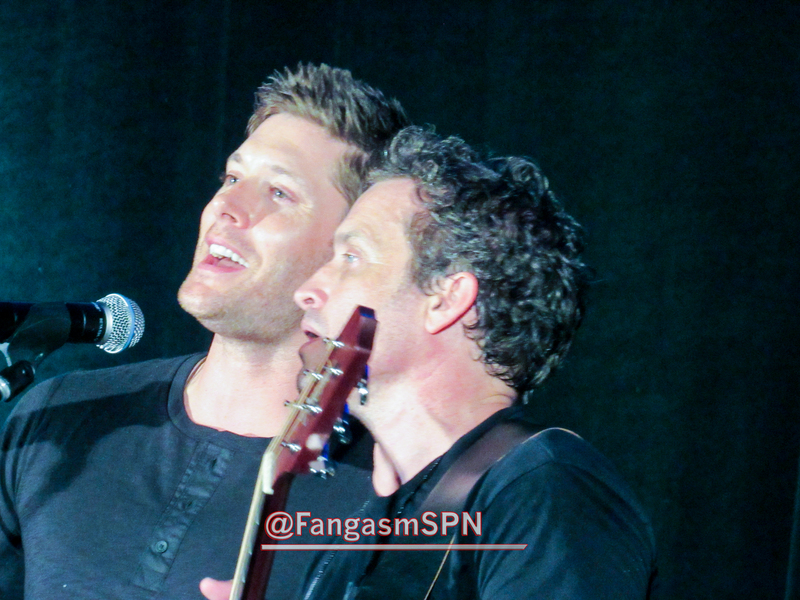 It’s clear how much he enjoys singing with Louden Swain and his fellow cast and musicians too, so the combination made for a very smiley Jensen indeed. 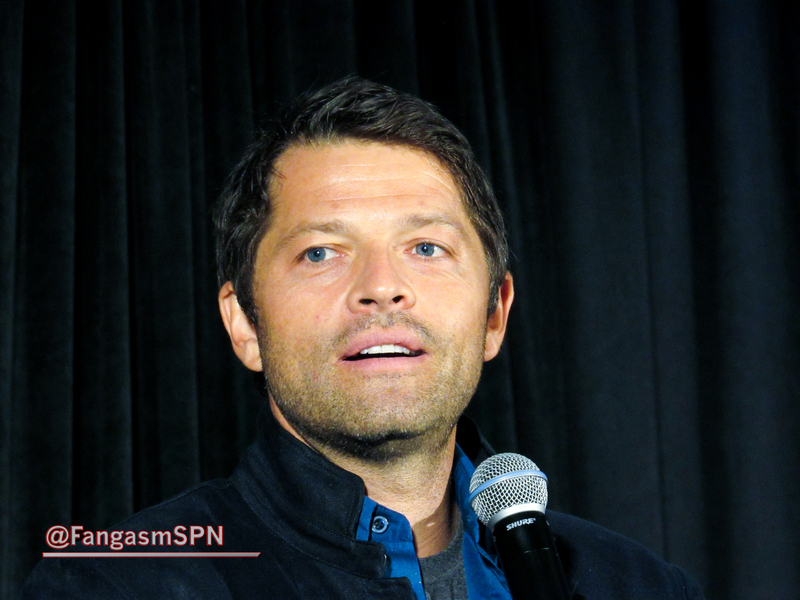 I wrote an article on this year’s Vancouver Supernatural convention for MovieTVTechGeeks that you can check out over there (link at the end), but wanted to add my own more personal moments (and the 5,298 photos I couldn’t include in that article…). Vancouver is one of my favorite places in the whole world. It’s where the Show I love is made, which makes it special already. It’s a gorgeous city that takes my breath away with its beauty every time I come back (especially this time, because the weather was five days of perfection!). And it’s where some of the best experiences I’ve ever had have happened on the set of Supernatural. I don’t even mind the twelve hours of flying, because once I walk outside and realize where I am, I’m wide awake and smiling, brimming with memories of all the good times. 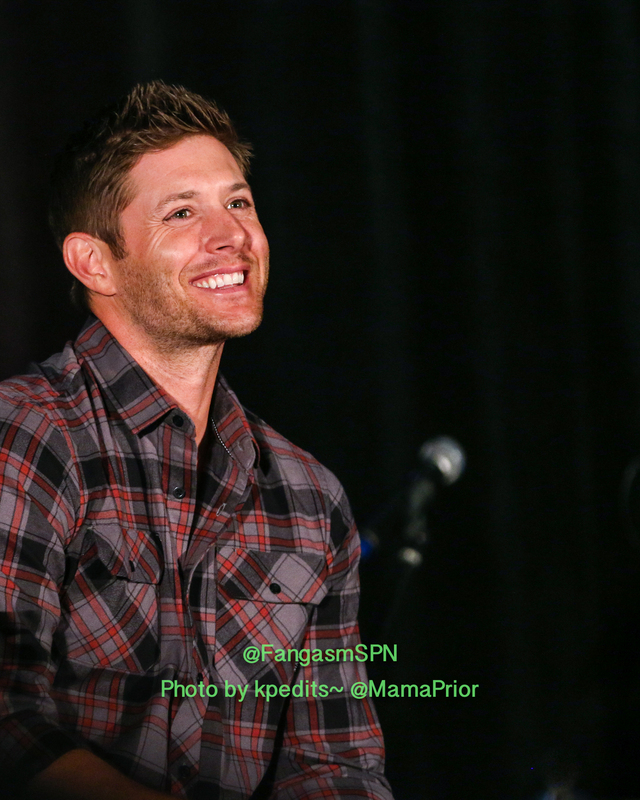 Vancon is one of my favorite cons for another reason too – fangirls. SO MANY FANGIRLS! It was one of the first Creation cons, and there are still many people who came to that first one and have come back every year since, me included. 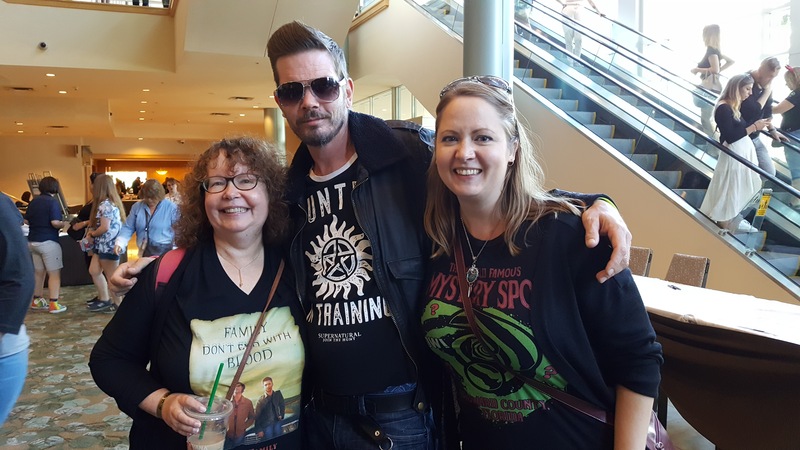 So Vancon means lots and lots of socializing – there’s nothing like being with fellow Supernatural fans to make you feel like life is just plain GOOD.